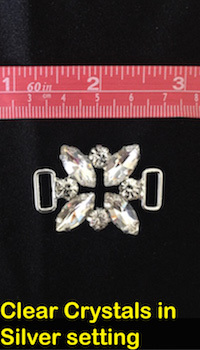 Shoulder, hip and center connectors are included in the base price! 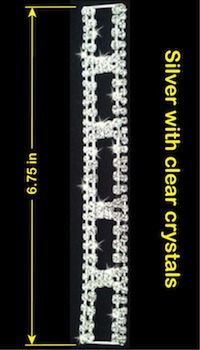 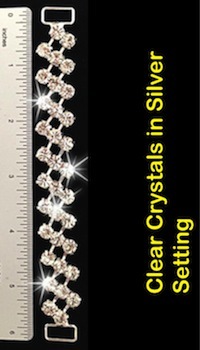 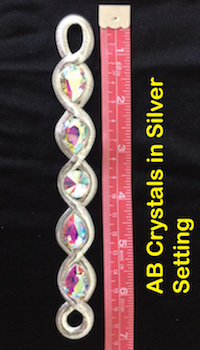 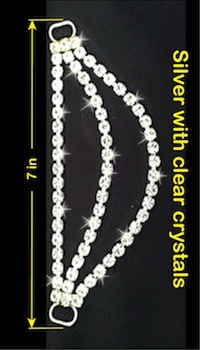 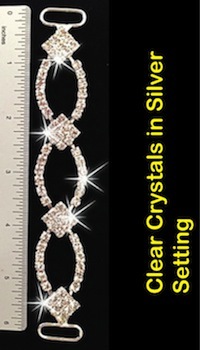 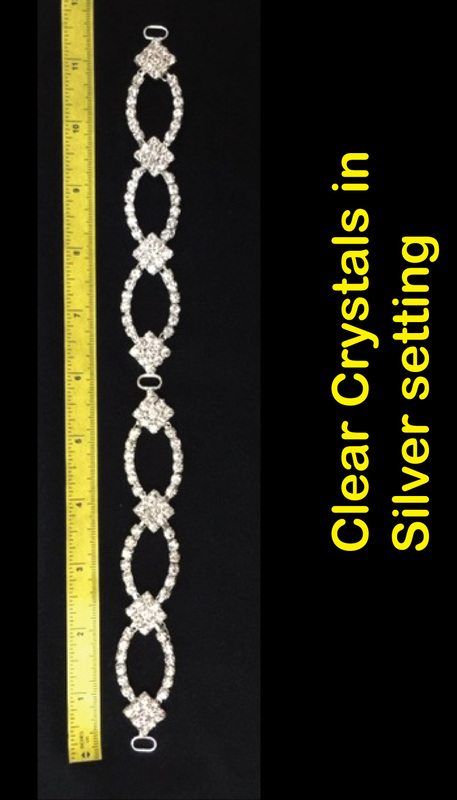 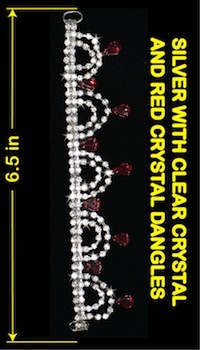 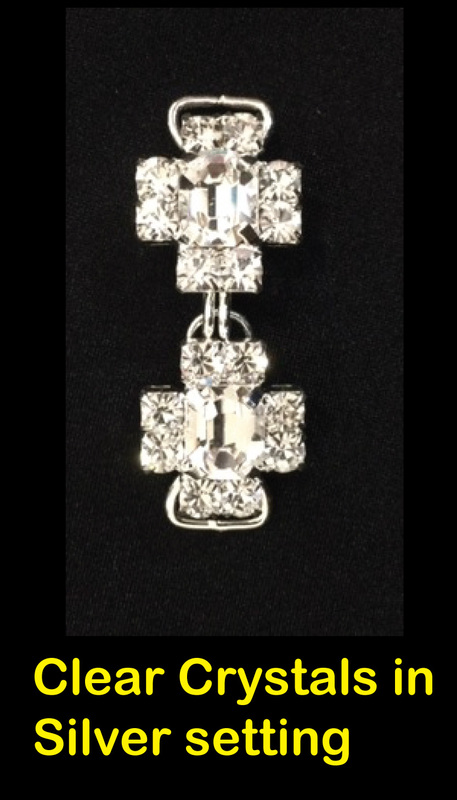 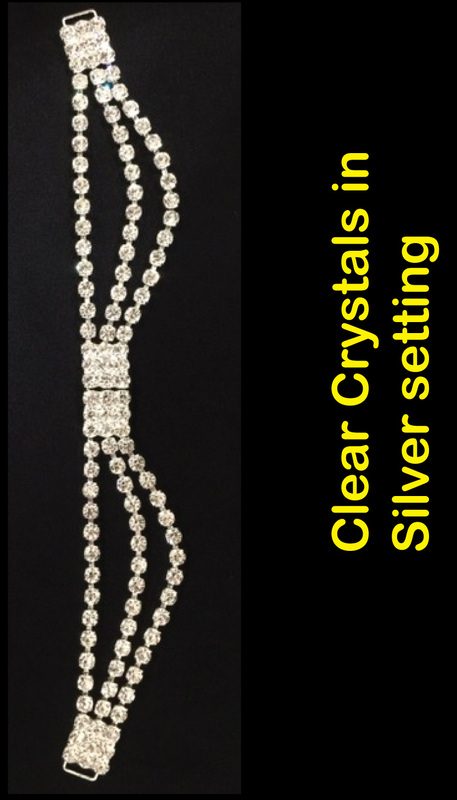 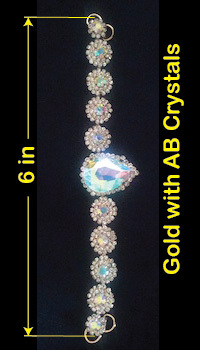 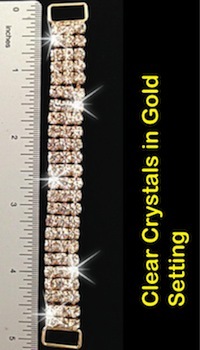 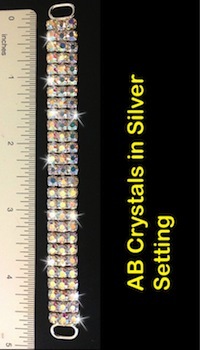 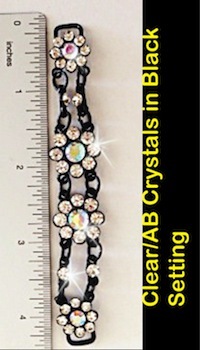 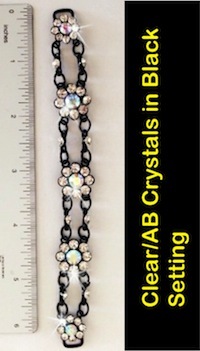 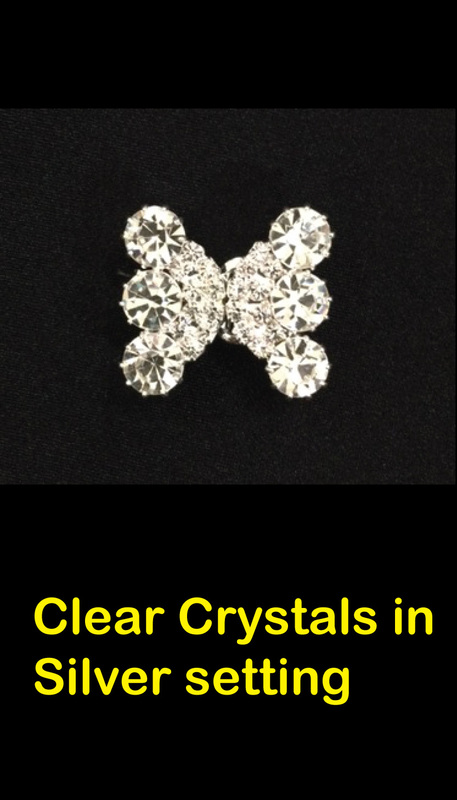 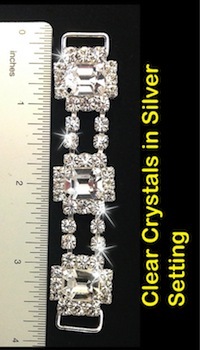 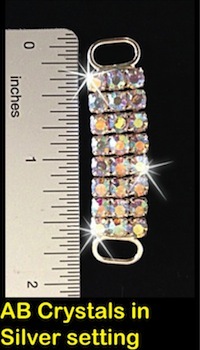 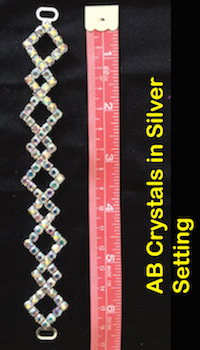 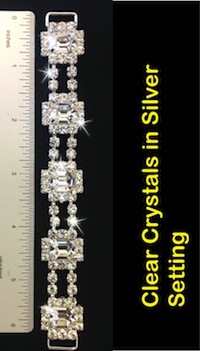 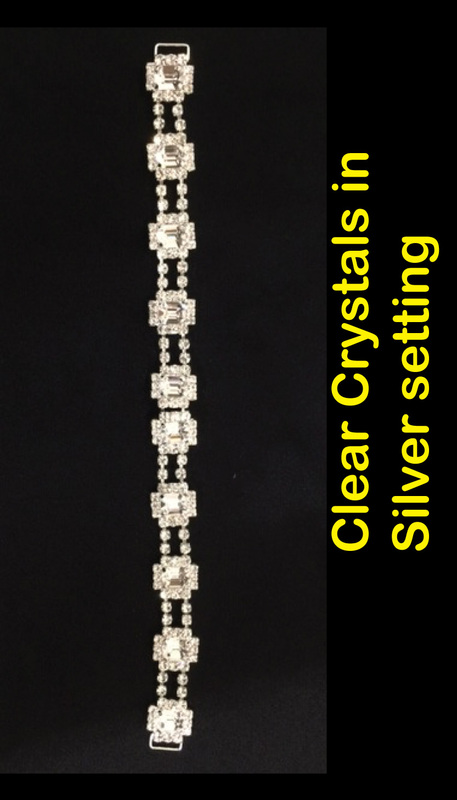 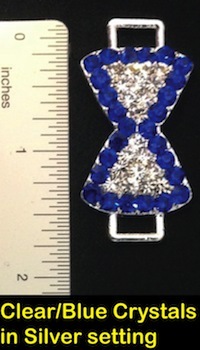 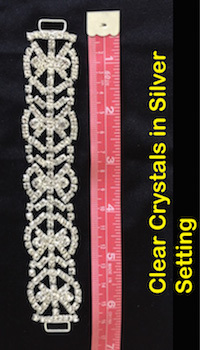 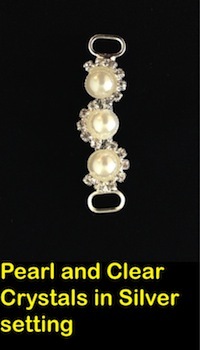 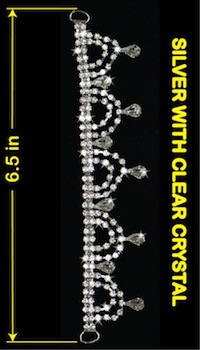 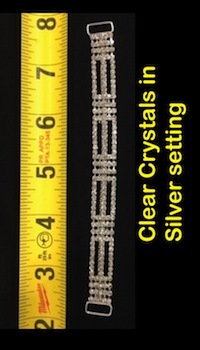 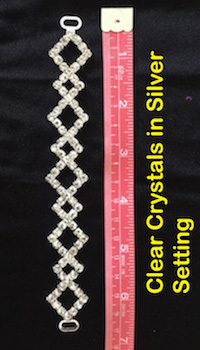 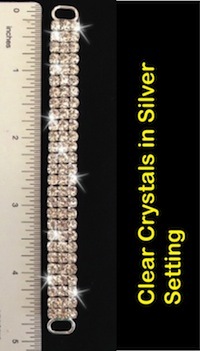 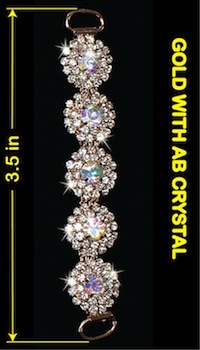 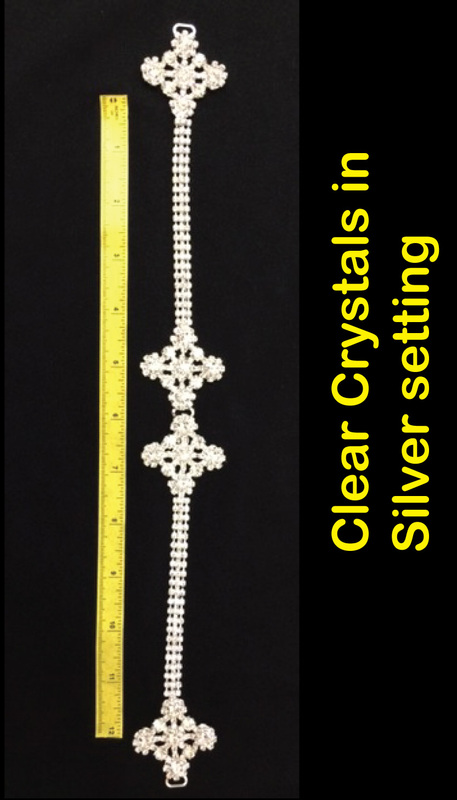 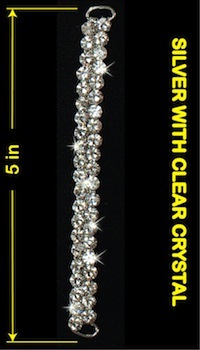 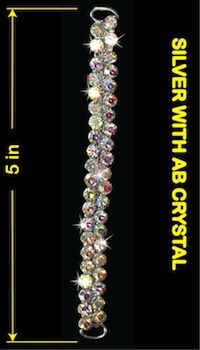 "Dream Weaver" is our new bling crystal design. 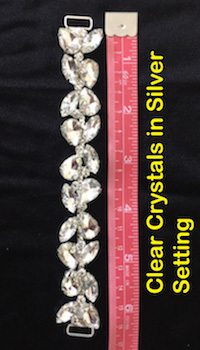 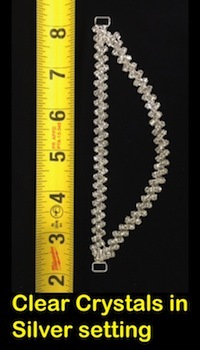 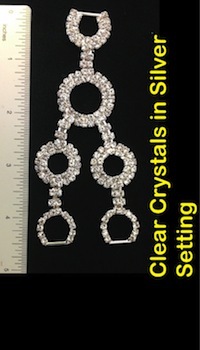 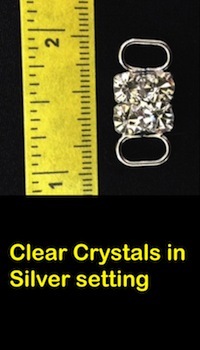 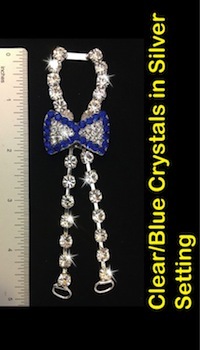 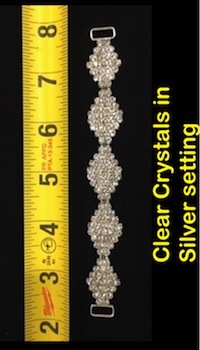 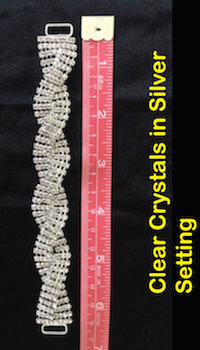 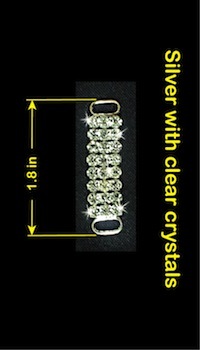 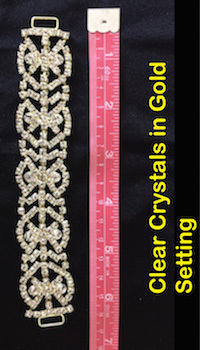 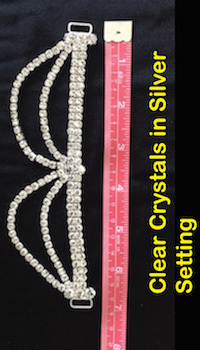 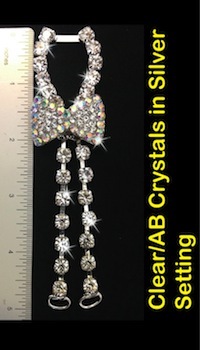 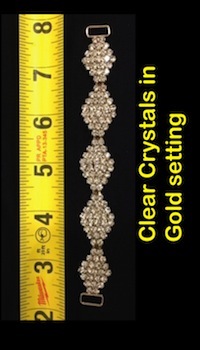 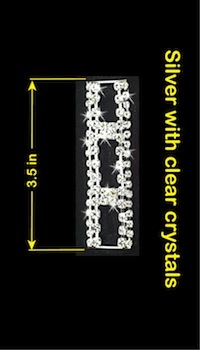 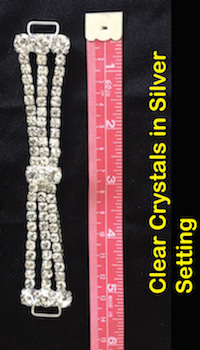 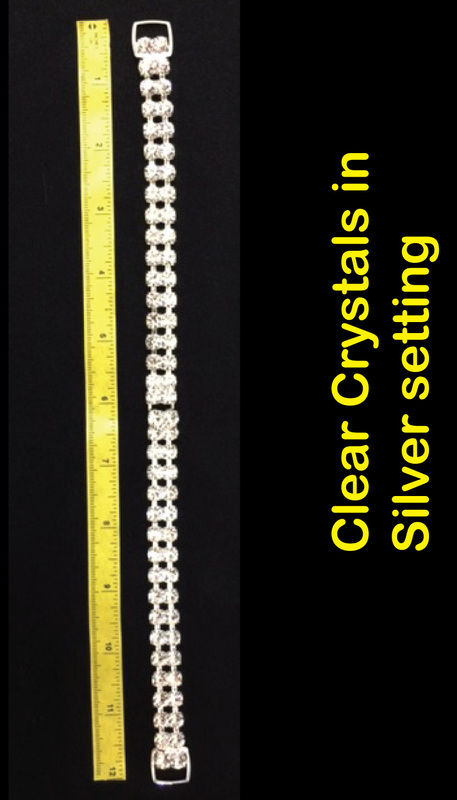 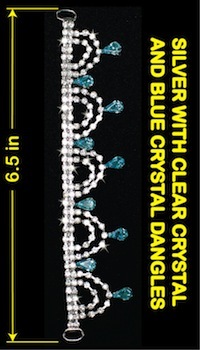 The space between each crystal is tighter and closer compared to the regular bling bikini. 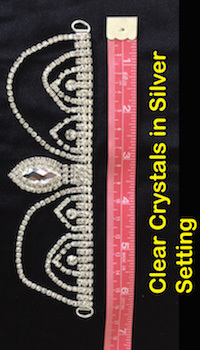 The crystals cover from edge to edge on the triangle top, and they cover the top edge of the bikini bottom. 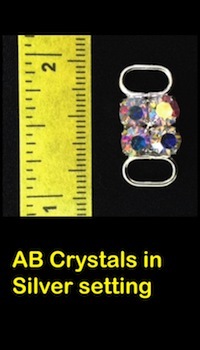 Photo is showing clear stone, Emerald, and Emerald AB on Green Shatterglass Hologram fabric.